Baby boy, "Kale" at 2 months old. 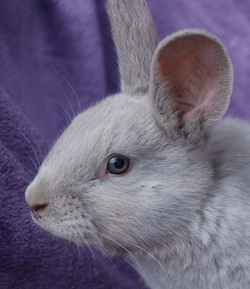 Originally bred in the UK around 1913, the now scarce Lilac breed of rabbit is often confused with other breeds, which may also have a lilac variety. Lilacs are a medium-sized, compact rabbit that don't take too much room or feed, and are small enough for youth to handle. Mature bucks 5 1/2 to 7 1/2 pounds and does 6 to 8 pounds. Lilacs have a calm and friendly disposition, dense silky roll back coat, evenly dove gray-lilac to lavender color, with a pink tint to the surface and blue-gray eyes. Even the tail is this color and only the bottoms of its feet are white. Different lighting conditions varies their appearance. If you change the angle slightly -They will look differently. It is like magic! "K" litter at 8 weeks old. 2011 = 56 Open / 19 Youth Convention in Indianapolis Indiana. 2012 =42 Open / 26 Youth. Convention in Wichita. Kansas. 2013 = 65 Open / 46 Youth. Convention in Harrisburg Pennsylvania. 2014= 52 Open / 32 Youth. Convention in Fort Worth, Texas. 2015= 45 Open / 9 Youth. Convention in Portland, Oregon. 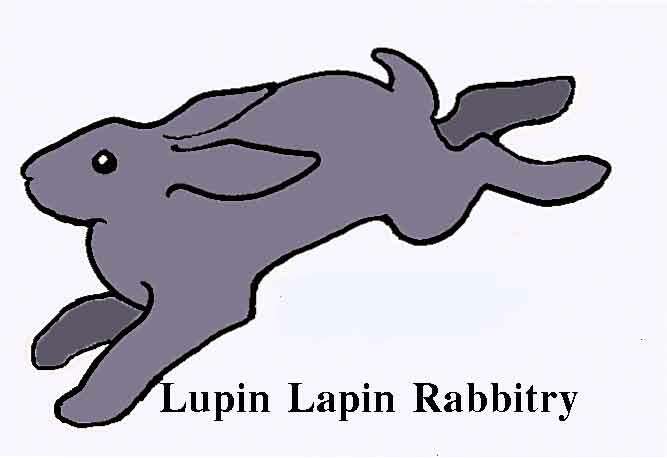 This website is owned by Lupin Lapin Rabbitry. Written permission required before using any photographs, images or content. "lilac breed rabbit" , "Hotot rabbit", "Rare breed rabbit"